← Love Point at Kent Island Ordered to Cease. Check out Historic Kent Manor Inn for Wedding Date Availability. Historic Kent Manor Inn has successfully provided a Kent Island wedding venue for over 1,000 brides since 1987 and will continue to do so for many, many years to come. 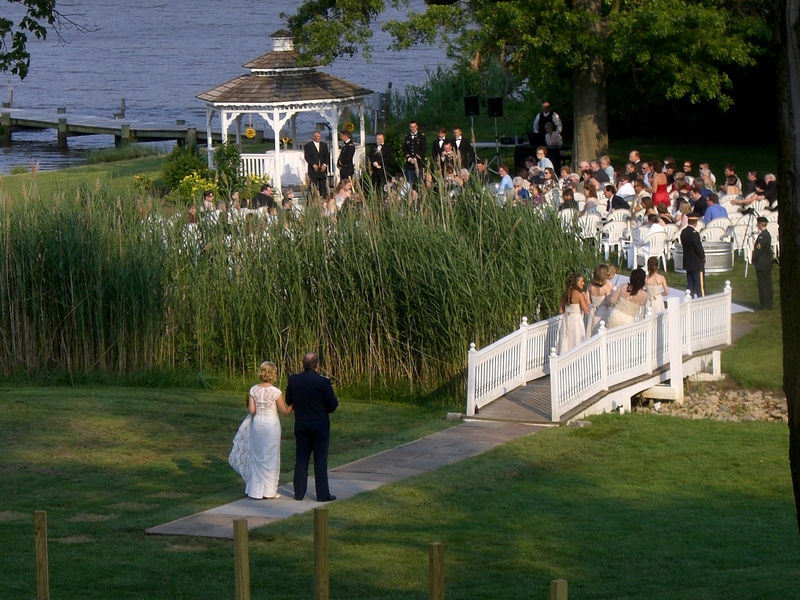 Historic Kent Manor Inn and other area wedding venues are ready to assist the Love Point at Kent Island brides who may not be able to have their events at Love Point at Kent Island as originally planned. Another bride walks to our Kent Island waterfront ceremony site at Historic Kent Manor Inn. This entry was posted in eastern shore, kent island, Kent Manor Inn, rehearsal dinner, weddings and tagged Chesapeake Bay, historic kent manor inn, Kent, kent island, Kent Island Maryland, kent manor inn, Love Point Maryland, maryland, Maryland's Eastern Shore, Maryland-Eastern Shore, weddings. Bookmark the permalink. I don’t know how many other brides have been affected by Love Point, hopefully they have been able to get the site fee back. I have not been able to get my 6,000 dollars back and can not afford to come up with 6,000 again to pay an additional site fee somewhere else. Kent mannor was my first choice and I wish I had went with it.